Being a first-generation Chilean American, one CSUN artist spent his summers visiting family in Chile, where he was exposed to entertainment from the late ’80s and early ’90s that inspired his artwork later in life. Rodrigo Diaz-Reyes, 26, has been nurturing his artistic talents since he could crawl. 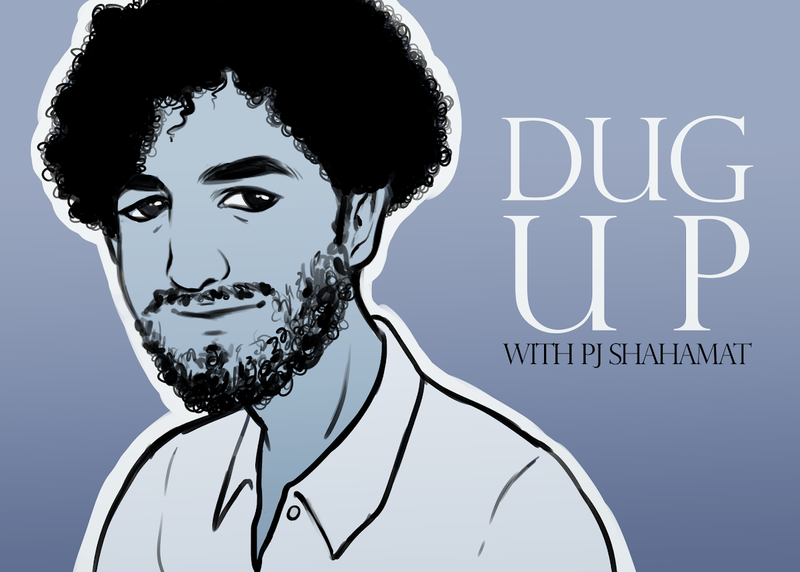 Hailing from a family of musicians, it’s hardly surprising. Diaz-Reyes laughed as he shared that he could have just as easily gone into music if he had chosen to. Before he began sculpting and using different mediums, paper and pencil were readily available to serve as an escape from being isolated among adults and watching reruns of “Zorro” at his grandmother’s house. A solid work ethic was drilled into Diaz-Reyes from going to a private Christian school at a young age. He got Boba Fett fever after he was gifted a Boba Fett action figure when he was around 7 years old. He has since gone on to prop making, making five helmets and three suits so far. The base price of a helmet starts at $750, and it will cost more if the client wants features such as the same discontinued paint that was used in the original “Star Wars” trilogy. Diaz-Reyes attended conventions and after parties by stars from the original trilogy in the Boba Fett costume but his interest is not so much in “Star Wars” as it is in his artistry. The show business aspect does not appeal to him, as it is easy to get lost in the fame. One of his favorite parts, however, is seeing the expressions on children and adults’ faces when they see an iconic “Star Wars” character walking around at a convention. Children are ecstatic to see and interact with him, and adults feel nostalgic. Diaz-Reyes is adept with more mediums, a necessity for his sculpting works. Graphite, charcoal, oil and acrylic paint, aluminum, and bronze are just some of the mediums that he works with. In his teenage years, Diaz-Reyes won art shows on KCET and had his work televised three years in a row. Working hard on art, however, had its drawbacks. Rifts were grown in his old friend groups, and connections were broken. Andrew Goldman, who Diaz-Reyes has known since kindergarten, spoke about how in middle school some of his previous friends would warp his drawings into something inappropriate, which further divided them. The key to Goldman and Diaz-Reyes’ relationship, however, has been “a give and take on both sides, investing time in each other, watching and helping each other grow,” according to Goldman. Diaz-Reyes entered CSUN as a graphic design major, but he began to feel disillusioned with the program after three years. After taking a year-long hiatus from school, Diaz-Reyes got engaged and returned as an art major. 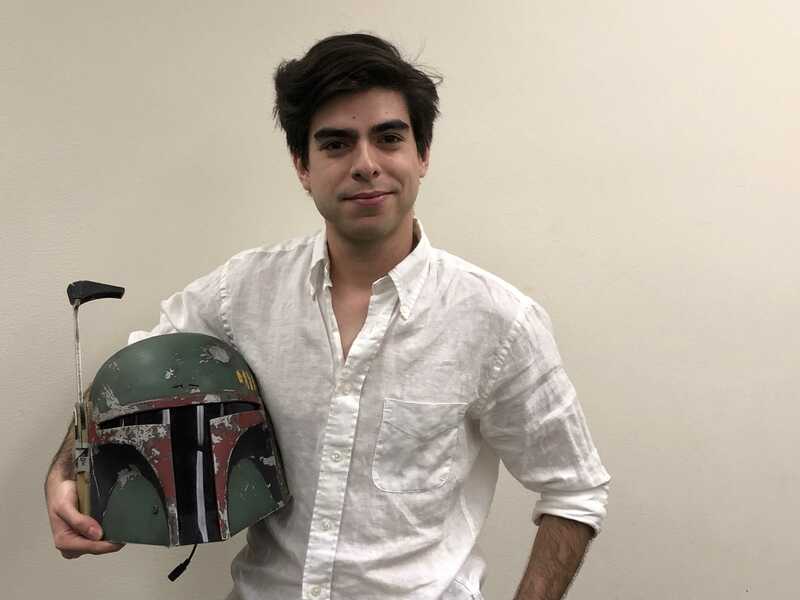 It was during the hiatus where Diaz-Reyes, through freelancing and working at Sunglass Hut, was able to scrape enough money together to buy a $9,000 Boba Fett suit, which came only as a blank canvas. It was his job to give it any semblance of the real Boba Fett suit. Diaz-Reyes can be found on Instagram @bobafetthascollegedebt.